The Volkswagen Golf GTI is the original hot hatchback, a finely engineered ball of pep and practicality that redefined performance cars when it first hit showrooms over 30 years ago. Of course, no car can rest on its laurels forever. The GTI enters its seventh generation (“Mk7” to VW fans) for 2015, and that means it’s time to see how it stacks up against the Mark VI version it will replace. 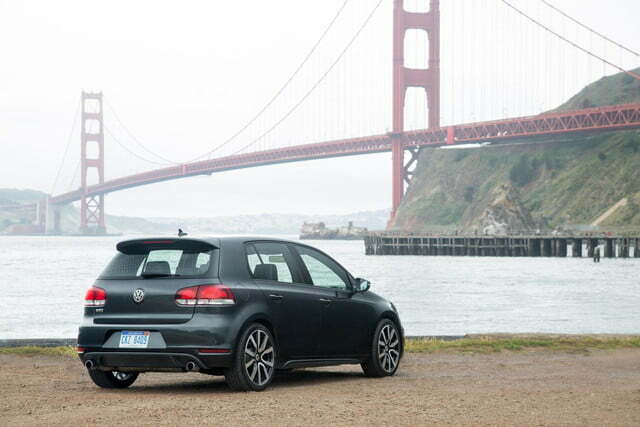 Past GTI models stuck pretty close to the basic Golf template, and the 2015 GTI is no different. The differences are subtle, including the signature red grille surround (which now continues into the headlight housings), bigger wheels and tires, and a more aggressive front fascia. That’s the same formula applied to the 2014 GTI, and it works well in both cases; not every performance car needs to be visually loud. In fact, there’s very little separating the 2015 and 2014 models at first glance. 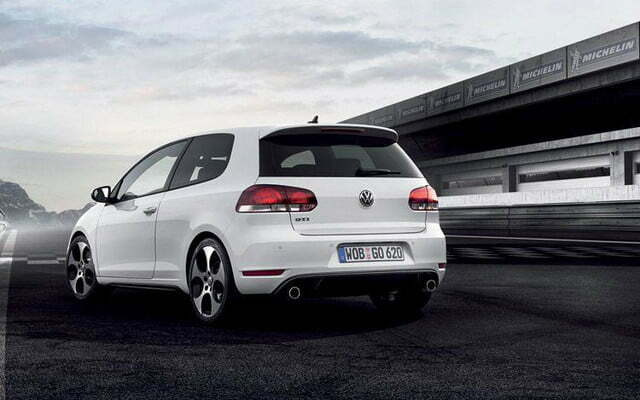 The 2015 Golf’s styling is a revised version of the 2014’s, not a a rethink. They both look good, though, so this round is a tie. The Mark VII Golf body comes with increased interior space but – like the exterior – the look of that interior emphasizes subtlety. 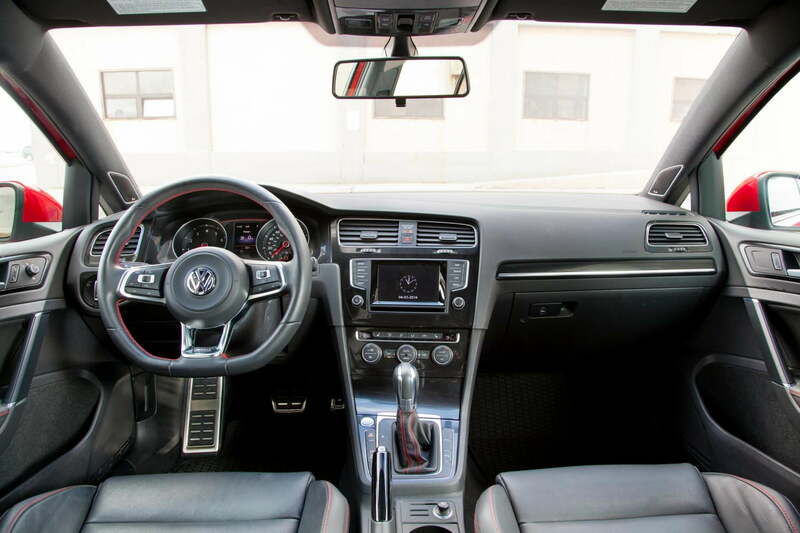 Both GTI models feature flat-bottomed steering wheels, GTI-specific instrument clusters, and heavily-bolstered sport seats in VW’s signature “Clark” plaid. The most notable change for 2015 is a standard 5.8-inch center-stack touchscreen with capacitive sensors for controlling infotainment functions. Added connectivity is a plus for tech-happy buyers, but the 2014 GTI’s interior was already pretty good, so this round is also a tie. It’s all about those plaid seats. 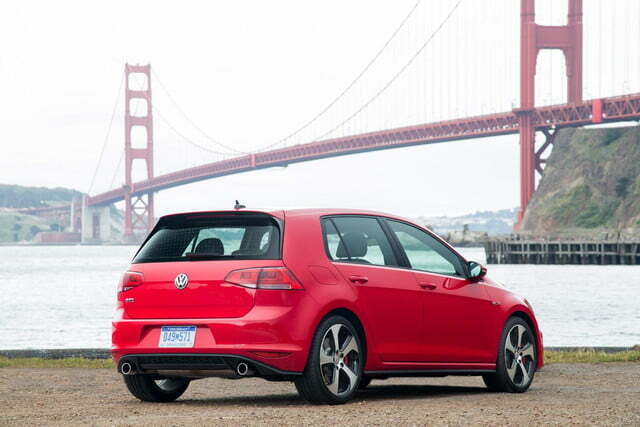 The 2015 GTI is one of several Volkswagens to get a version of the new EA888 four-cylinder engine family. This turbocharged, 2.0-liter version produces 210 horsepower and 258 pound-feet of torque, and is available with either a six-speed manual transmission or six-speed, dual-clutch DSG. That’s only 10 more horsepower than the 2014’s 2.0-liter turbocharged four-cylinder, although an optional Performance Package provides a further 10 hp boost, bringing the total to 220 hp. The real story is the peak torque, which is 51 lb-ft higher than last year, and available from just 1,500 rpm. 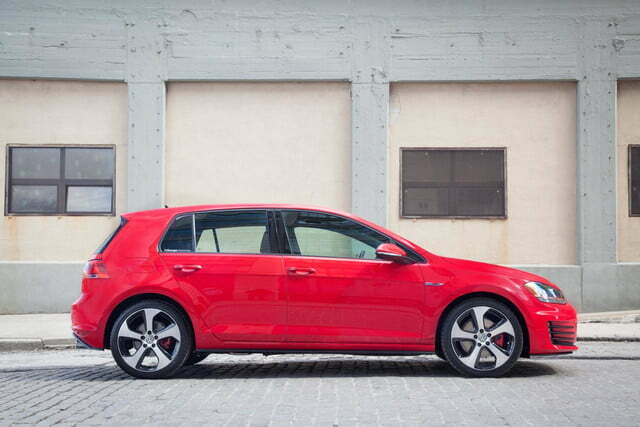 That gives the 2015 GTI a clear powertrain advantage. 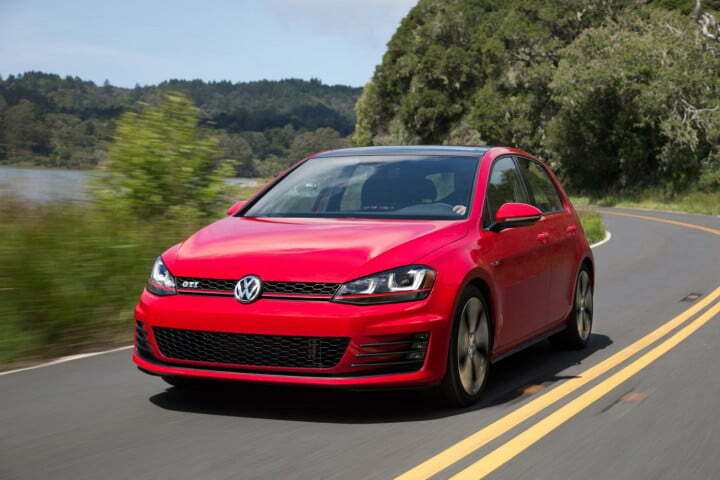 The extra power, plus a lighter chassis (by 53 to 82 pounds, according to VW) should make the 2015 GTI faster than its predecessor, while a claimed 10-percent increase in torsional rigidity should make it feel better in the corners as well. There’s also some new hardware. 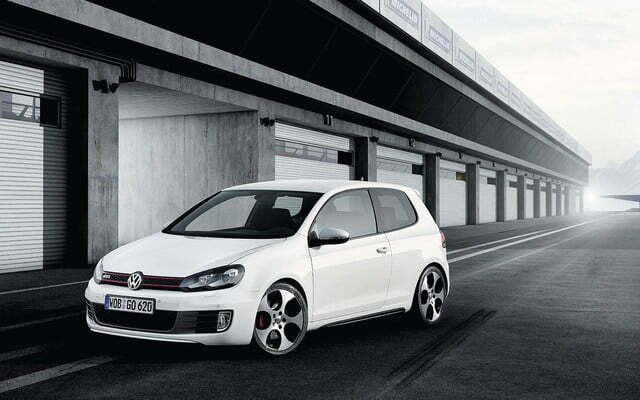 The aforementioned Performance Package includes VW’s DCC adaptive-damping system and a limited-slip differential. All of this promises to make the 2015 GTI even more capable than the 2014 GTI, and that’s saying something. 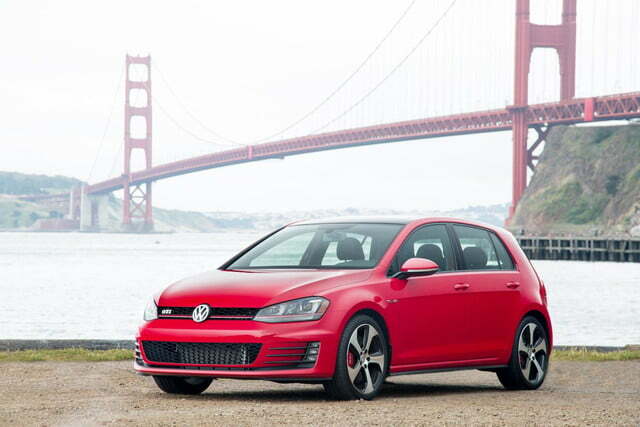 Pricing for the 2015 GTI starts at $25,215 (including destination) for a base S two-door with the manual transmission. There’s also a mid-level SE model that starts at $28,215, and the top Autobahn model, which starts at $30,415, and is only available as a four-door. Volkswagen slimmed down the 2014 GTI lineup in anticipation of the new model’s launch, making a direct price comparison difficult. 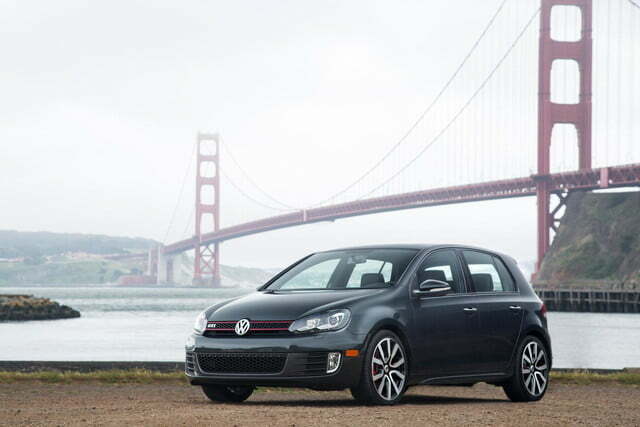 The cheapest 2014 GTI was the four-door manual Wolfsburg Edition, which started at $25,915. So, if you’re bad at math, the GTI gets $700 cheaper for 2015. The Volkswagen GTI used to be one of the best-kept secrets of the car world, a great performance car disguised as a practical hatchback. Over the years, though, it’s accumulated legions of fans that fuel a growing “Euro” car subculture, so whichever version you driver, you’re bound to get a few approving looks. Typically, when a car receives as thorough a redesign as the GTI got for the 2015 model year, its character changes a bit. Yet that doesn’t appear to be the case here: The 2015 GTI is more powerful, more refined, and more sharply focused than the 2014, but there are no fundamental changes. Having more of the things that made the Mark VI GTI great makes this new version the better car, but it stands on the shoulders of one that’s already pretty good.